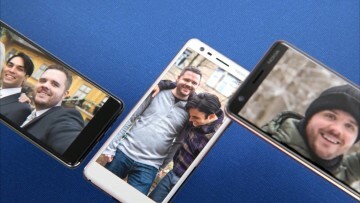 In just the more than two years since HMD Global started selling phones under the Nokia brand, its already among the top 10 smartphone manufacturers in the world, with Nokia's strong brand recognition and HMD's insistence on a no-frills approach to Android spurring strong sales in many developing countries. As HMD works on further expanding its presence in the world, it has made Asian markets one of the key areas of focus. 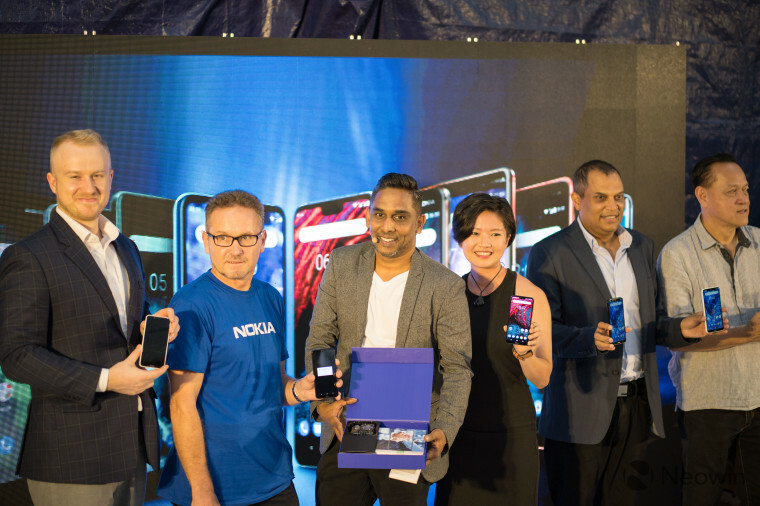 I recently the chance to talk to HMD's country manager for Malaysia and Myanmar about how the company first started, and what direction it's planning on taking Nokia phones into the future. Muhammad: Why don’t we start with some basic history? Please tell us a bit about the birth of HMD Global. How did it get started? Was using the Nokia brand always part of your plan? Vijay: HMD Global was founded on 1st December 2016 in Espoo, Finland whereas HMD in Malaysia launched its first smartphones in June 2017. We are a Finnish start-up, and the home of Nokia mobile phones. In the spirit of most start-ups, we are a collective of passionate and experienced people responsible for product creation, design, and marketing of Nokia mobile phones. The aim from the start was to create an improved and more personal user experience, so we joined forces with visionary industry leaders to share our ingenuity, experience, and expertise. By doing so, we found innovative ways to connect with our customers. We are in the business of developing products that are integral in consumers’ daily lives, so we dove into research, development, and imagination; all with the aim to enhance the lives of our consumers, who we put in the centre of every step of our decision-making process. Muhammad: A lot of people at HMD Global initially worked at Nokia. Given that shared DNA and heritage, how much do Nokia and HMD Global collaborate? Do they simply license their brand to you or is there more to the partnership? Vijay: We operate using a strategic partnership model working with the very best in the field, as we believe in the spirit of collaboration. We partner with Google for instance, as our operating platform, and of course Nokia, the licensor of the Nokia brand for mobile phones and tablets, among others. Muhammad: HMD Global/Nokia is the last of the big European phone makers of yesteryear that is still thriving. What would you attribute that success to and what are you doing right that the likes of Ericsson and others were not able to? Vijay: We would say that this success is attributed to the legendary build quality of Nokia phones as well as our strategic partnership structure with the likes of ZEISS and Google. These two pillars are crucial for us to deliver the ultimate mobile experience. Part of our promise at HMD Global is to also deliver pure, secure, and up-to-date software updates to the Android One programme, which we believe is something our customers appreciate. Muhammad: One of the things which we don't really hear much about, even though they are a large part of your business, are feature phones. How big of an effort is the feature phone business for you, and how successful is it? Vijay: There have been several feature phones launched by HMD Global these past years that have managed to gain traction in the feature phone segment. In May of 2017, we launched a modern classic reimagined, the Nokia 3310 Dual SIM. In July last year, we launched the throwback phone Nokia 8110 4G or more popularly known as the banana phone, this time supporting the faster 4G. We are proud to say that today, we are the leading feature phone player globally both in volume and value. Muhammad: That brings us to the banana phone. What was the reasoning behind it? Just pure nostalgia or something more? Vijay: Nokia 8110, the newest member of the Originals family, marks the return of the iconic curved slider design, inspired by the original Nokia 8110 - aka the ‘banana phone’. 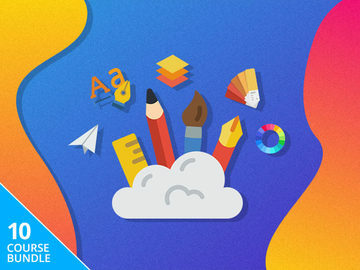 This phone gives you the chance to have fun and relax with the knowledge that all your smartphone essentials are there when you need them such as Google Assistant, Gmail, Outlook, Google Maps, and more. 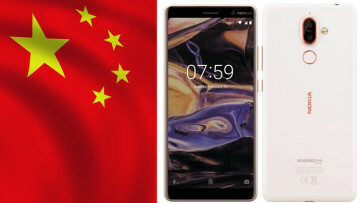 Muhammad: HMD Global has a habit of releasing many of its more appealing products in China before the rest of the world, or even your native Finland. Why is that? Vijay: We are a global company with fans all over the world. Hence, it is our consistent goal is to make sure every fan gets the right device that is suitable for them, which means that our phones are released at different times globally. Muhammad: Nokia and Android One have almost become synonymous now. What motivated you to go with Android One for your phones, and what benefits do you think that provides to your customers? Vijay: It is about providing what works best for our consumers. Our smartphones in the Android One family offer a high-quality software experience designed by Google. Each phone will stay fresh over time with the latest Google innovations and regular security updates, and our pure Android commitment means they do not come preloaded with any bloatware or unnecessary user interface and skin change. Android One devices are first in line for software innovations, and are optimised for the best Google experience, making this latest AI technology smart. Android One devices are also among the most secure with monthly security updates for three years and Google Play Protect built-in, making it secure. High-quality hardware such as those of a Nokia smartphone combined with Google’s intuitive software promises a simply amazing experience. In short, every Nokia smartphone with Android One will give consumers access to a high-quality hardware and a software experience which is smart, secure, and simply amazing. 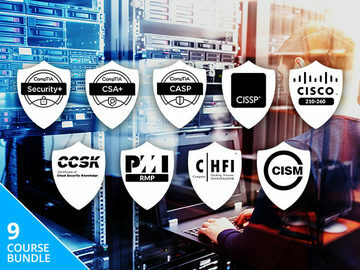 Consumers are constantly connected through their mobile devices, so it is essential that we provide the very best to our fans through the performance of both hardware and software. Muhammad: Do you think Android One is the way of the future, and could it be the answer to the infamous fragmentation problem of Android? Should all companies move to it or do you see value in differentiating a product with customised software? Vijay: HMD Global is focused on­ providing the best user experience via the Android One programme. We can achieve that by delivering the latest Android features, bug fixes, and security updates quickly over-the-air. Our commitment for our smartphones consists of monthly security updates for up to three years and Operating System upgrades of up to two versions. A very good example of this is the Nokia 7 Plus being one of the first to roll out Android 9 Pie in September, followed by Nokia 6.1, Nokia 6.1 Plus, and Nokia 8 and Nokia 8.1; and more this year. At this point in time, we are confident that the Android One programme will continue delivering the best user experience on a Nokia smartphone. Muhammad: HMD Global is facing some tough competition from Chinese brands like Xiaomi, Pocophone, Realme, and others in the budget segment. What would you say to a customer who believes those other brands provide a better bang for the buck than Nokia phones, especially in terms of specs? What is HMD Global's larger strategy for tackling these challenges? Vijay: When releasing our devices, high standards of craftsmanship and improved user experience is what we strive to deliver to. We are making a statement of intent in the local market with our commitment to finesse in our design, build, and overall user experience. For example, with the Nokia 5.1 Plus and Nokia 6.1 Plus, the latest display innovation is interweaved with our design ethos as we bring maximum display size without compromising compactness. 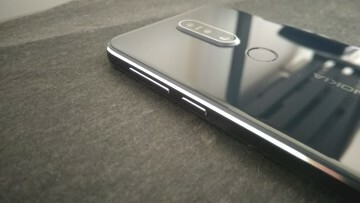 The Nokia 7 Plus is another example of high craftsmanship, crowned Consumer Smartphone of the Year by the Expert Imaging and Sound Association (EISA) in August. It was praised for its perfect harmony between components and the Android One software platform. The prices we offer come with promised quality and experience, so users know that what they are paying is worth the device they are getting. Quality and experience will continue to be at the forefront of our craftsmanship to remain competitive in the smartphone segment. For the feature phone segment, we will carry on providing the latest technologies and features available. In short, we are constantly focused on how we at HMD Global can do better for our consumers. There is, of course, a lot of competition in the market, but as long as we remain focused while keeping our consumers at the centre of everything that we do, we are positive in their response towards our product. Muhammad: You also license the ZEISS brand. Tell us a little about your partnership with them, and how you decide which phone will carry the Zeiss brand. Some have criticised your inclusion of the brand on your lower-tier phones. How would you respond to that criticism? Vijay: Our plan is to work together with ZEISS holistically to deliver the ultimate end-to-end imaging experience to consumers. This encompasses the software, services, screen quality, optics, and more – everything within the imaging ecosystem. Muhammad: You recently acquired the PureView brand from Microsoft. Can you tell us about what you're planning to do with it? Vijay: Stay tuned to upcoming updates. Muhammad: Quad-camera phones have become a bit of a trend in the last year or so. Are you planning on one-upping them with the Nokia 9 - does it really have five cameras on the back? Vijay: We do not comment on speculation or rumours, but do stay tuned to HMD Global to find out more in the coming months. Muhammad: What can we expect to see from HMD Global in the future, and where do you see the company in the next 10 years? Vijay: We want to make the brand one of the top brands in the region. Our Nokia smartphones are devices that get better over time with our key value proposition and promise of Android One – Pure, Secure & Always Up-to-date. There is a strong growth market in the region, and we want to be a part of that growth story. Our vision for HMD Global as a whole is for the company to be the leader in innovation and user experience. 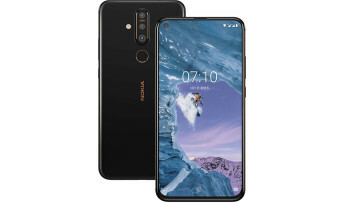 HMD has been able to carve out a good niche of the market for itself relying largely on the strength of the Nokia brand. However, as the novelty of the brand wears out and with Chinese competitors like Huawei and OPPO constantly pushing out newer innovations at a breakneck pace and often at cheaper prices, Nokia's ability to gain more ground in the already congested Asian markets remains to be seen. The company does provide a unique value proposition with its strong software game, being almost unparalleled in the lower ends of the smartphone market, but it still remains to be seen whether consumers in price-conscious markets like India will prefer a 'pure, secure, and up-to-date' phone over one that's simply cheaper.